Technology May Seek To Flatten The World, But The "Digital South" Will Chart Its Own Course | The Forum Network, hosted by the OECD: Shape ideas. Shape policy. Shape the Future. Let's hope the Silicon Valley CEOs and the citizen advocates and regulators who are working hard to re-build trust in digital technology are inclusive in their thinking, innovating and planning. Otherwise, they will end up solving the problems for a narrow portion of the digital planet. This article is part of the Forum Network series on International Co-operation & Digitalisation. This article first appeared on my column in Forbes. With trade wars, anti-globalization rhetoric and nationalist politicians hogging headlines around the world, mercifully, there are two things that can still bring the world together: viral messages on digital media and the FIFA World Cup. In fact, the real magic happens when the two global obsessions intersect. A quarter of the world’s active Internet users had planned to watch the games online; with over 4 billion online, that counts for a lot of people who are then poised to instantaneously pour their emotions onto social media. Once the World Cup final gets done on Sunday, July 15th, however, we might be back to digital virality carrying the flag solo to battle the forces of de-globalization. This is a bit worrisome, since digital media has not proven to be a particularly responsible flag-bearer in recent months. While Facebook's Zuckerberg has been on a sequential apology tour, Twitter has been cleaning up bogus accounts and Uber has been going through an extensive overhaul under a new CEO, some of the most egregious instances of the technology's negative impact have been felt in what I call the Digital South, the countries that are still evolving in their adoption and use of these technologies: in India, for instance, rumors on WhatsApp have led to communal violence and gruesome cases of vigilante justice. Since the global digital players are based in the Digital North, much of the hand-wringing at headquarters is still over problems of the Digital North. It is high time, we recognized that the Digital South is poised to forge its own path. Its attitudes and engagement with technology are different. Tech companies that build their products in their iconic offices in Silicon Valley ought to recognize the distinctly different journey that the Digital South will be on and pay closer attention to its unique needs and concerns; after all, the Digital South is where the growth and momentum reside. What defines this "North-South" divide? In our multi-year global study, The Digital Planet, we have found marked distinctions between the digitally advanced nations, the Digital North (the countries in the top half of the picture below; above the median according to our Digital Evolution Index) and the not-quite-up-there-yet ones, the Digital South (the countries in the bottom half of the picture below; below the median in our Digital Evolution Index). The emerging signs are that the Digital North-South gap is only widening. Consider 5 important trends separating the two. The Digital South is Spending More Time Online: The majority of Internet traffic is now over a mobile device and its use is growing, while use of desktops, laptops and tablets are falling. In other words, the mobile Internet is clearly key to our understanding of digital life now and in the future. The Digital South spends more time on the mobile Internet than the Digital North. Whereas a user in Thailand spends almost 5 hours a day on the mobile Internet, one in France spends an hour and 20 minutes. In addition, a user in the Digital South spends more time on social media than a user in the Digital North – for example, almost 4 hours in the Philippines as compared to 48 minutes a day in Japan. The Digital South is More Optimistic: The proportion of the population that believes that new technologies offer more opportunities than risks is markedly higher in the Digital South versus the Digital North. In Nigeria, for example, 80 percent are “digital optimists”, while in Germany that proportion falls to 37 percent. The Digital South Used to be More Trusting But That is Changing Fast: Unsurprisingly, given the many revelations relating to Facebook and multiple data breaches, the concerns about privacy are up everywhere. A majority -- 52 percent -- of global users are more concerned about their online privacy compared to one year ago; users are worried not only about cybercriminals, but also their own governments and social media. In our Digital Planet research we had found that countries in the Digital South that were also experiencing high digital momentum were generally more trusting, but that seems to be changing. The percentage of respondents who said they were more concerned about online privacy now than a year ago was higher in the Digital South though; for example, 58 percent in the BRICs vs 43 percent in the G-8 are more concerned now than a year before. The Digital South is Catching Up on News on Social Media But in Ways that are Different from the Digital North: Attitudes towards digital media as a source of news are changing. Historically, the Digital North was more inclined towards using social media as a news source. A median of 54 percent of users were likely to get news online at least once a day in the developed world; in the developing world, that percentage was 23. South Korea and Sweden had the highest percentages: 80 and 70 percent, respectively. In Tanzania, one of the poorest nations surveyed by Pew, had the lowest percentage at 11. The absolute state of trust in such news is, however, low: fewer than a quarter say they trust the news they find in social media. Over half agree or strongly agree that they are concerned about what is real and fake on the internet. These percentages are highest in countries where the political climate is highly polarized. With the political climate getting more polarized in more countries around the world, we can expect greater concern in the years ahead. Quite apart from the degree of reliance on digital media for news, developed and developing countries also differ in terms of where users choose to go for news. More generally, the use of social media for news has started to fall in the developed countries, with the decline of reliance on Facebook as the primary driver. In parallel, there is a rise in the use of alternative platforms, such as WhatsApp, as the go-to news source in many parts of the developing world, e.g. Malaysia, Brazil and Turkey. WhatsApp use for news has almost tripled since 2014 and has overtaken Twitter in importance in many countries. There have also been substantial increases in the use of other networks in a number of countries. In addition to WhatsApp, Instagram has taken off in Latin America and parts of Asia. The Digital South Appears More Willing to Trade Data for Services: A recent Asia-focused Digital Consumer Insights 2018 report from Experian points to some intriguing trends – a clear distinction between those more willing to offer up their data -- whose concerns about security and privacy are outweighed by a desire for the convenience of services offered digitally. Such users are more likely to be found in China and India, or other Digital South countries, such as Vietnam, Indonesia, and Thailand. Conversely, there are users less willing to offer their data and have a higher perception of risks and would prefer to avoid or minimize such risks. This category includes Digital North countries, such as Japan, New Zealand, Singapore, and Australia. With more than half the world’s population online (https://www.internetworldstats.com/emarketing.htm ), and growth rates of 20 percent in historically under-served regions such as Africa, it is becoming evident that the digital medium is well on its way to being a more inclusive “product” than many others we might take for granted in the developed world. According to the WHO, in 2015, only 39 percent of the world’s global population used a safely managed sanitation service, to consider just one example. Overall, the energy, attitudes and pace of digital transformation in the Digital South are very different from that in the North. In many ways, tech innovators, investors and policymakers are in the process of re-inventing the digital value proposition given our collective reckoning of the risks of these technologies. As they do so they must examine the digital development of the South and evaluate it by its own measures and rules and not assume it will follow the historical precedent of the North. There is no question that the center of gravity is shifting and an inclusive approach to digital re-invention, innovation and policymaking will require a clear acknowledgement of the new reality of the Digital South. Once again, the World Cup gives us some insight into these differences. While the global south did not make it to the final rounds of the tournament, as far as sheer digital fanaticism is concerned the Digital South beat the Digital North hands down. Peru’s team was the winner with the team profile on Facebook that scored the most likes, comments and shares per post on average, while Egypt’s Mohamed Salah topped the individual player league table with the most fan engagement per post on Facebook and Twitter. Neither country was considered among the stars on the field. And then, consider China and India. Recall, that a quarter of active Internet users plan to watch the World Cup online. In China alone, this proportion is 47 percent of internet users, followed by 45 percent in India. Neither has a team on the field in the World Cup; however, their keenness to participate digitally far exceeds the rest of the world. Let's hope the Silicon Valley CEOs and the citizen advocates and regulators who are working hard to re-build trust in digital technology are inclusive in their thinking, innovating and planning. Otherwise, they will end up solving the problems for a narrow portion of the digital planet, while the Perus, Egypts, Chinas and Indias will go their own ways and there will be many more unanticipated challenges to recover from down the road. 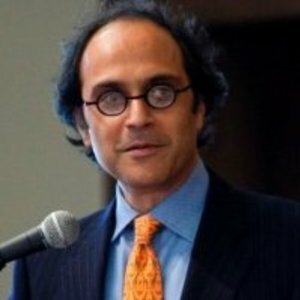 Bhaskar Chakravorti is the Dean of Global Business at Tufts University’s Fletcher School and Founding Executive Director of Fletcher’s Institute for Business in the Global Context. He is also Senior Advisor for Digital Inclusion at the Mastercard Center for Inclusive Growth and an Associate of the Center’s Insights Network.